DVSA registered for RPMT training. For those who have already passed their test. Get a discount on your insurance! 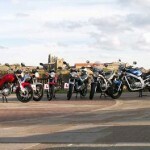 A & M Rider Training is a DVSA registered training body operating from Whitby in the heart of the North Yorkshire Moors offering professional training for all riders, from novice, to those having passed their test or riders returning to motorcycling. All our instructors are DVSA Cardington qualified and registered and we offer instruction recognised and endorsed by the DVSA for post test motorcycle training (RPMT). Those taking direct access lessons will use our unrestricted KTM690 Duke motorcycles. These are around 40kg lighter than most other school’s direct access bikes. Of course you may wish to do your CBT on your own motorcycle or scooter. Providing you have all the necessary documentation this can be arranged. You could arrange for your bike to be delivered to us or we could collect it for you. The enjoyment gained from riding a motorcycle skillfully and safely is second to none. However, it takes confidence, excellent riding skills, physical co-ordination and balance. Keeping your skills up to date and checking that you have not become overconfident, complacent, or picked up some bad or dangerous habits is something that few of us do.